Neil Druckman and Faith Erin Hicks are doing a fantastic job with this prequel. I have to say that I am getting more and more excited for this game than I already was just by reading this! Ellie and Riley make a great team. I just hope they stick together after this. 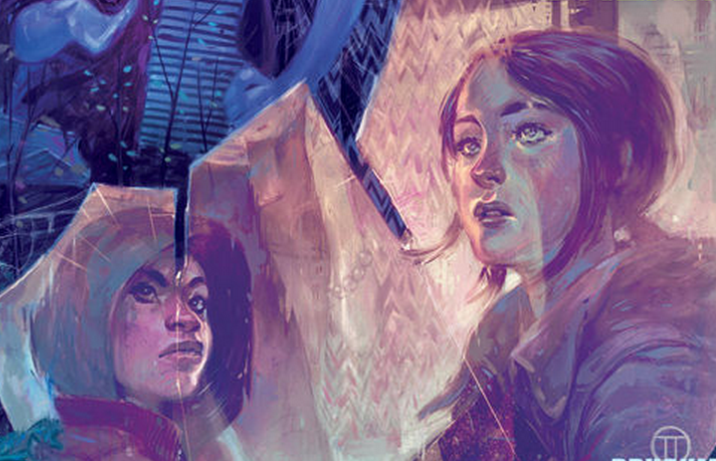 In this issue, we follow Ellie and Riley past the gates of the school and into what’s left of the world. They enter what is left of a mall, and Druckman really pulls on the heartstrings here with the dialogue. They meet up with a pretty cool old man Riley knows who has a thing for old scotch. I just have to take a moment here and acknowledge that Druckman wrote in the type of whiskey to be an aged Glenfiddich, which just happens to be in my top three favorites, so I think that’s pretty awesome! Anyway, what seems like an innocent enough visit turns out to be something much bigger – that’s where they leave you hanging! Now, I said that Druckman’s dialogue really tugs on the heartstrings. Well, the art really does too. Hicks’s art is reminiscent of Scott Pilgrim, but with more detail, which I quite enjoy. Besides that though, the art is as dark as the story itself, and is beautifully done. There is a lot of feeling put into it. 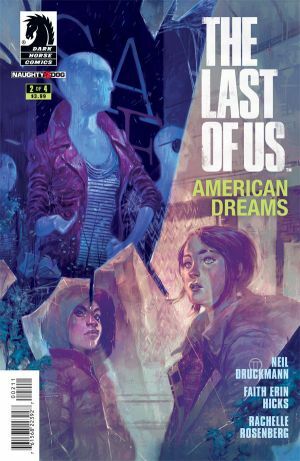 The Last of Us: American Dreams #2 is on shelves now, so go pick it up! If you haven’t read the first one yet, then give it a try. Also, if you are super excited for the game like me, then this is a good way to get a taste of it while you wait!